The parcel is located on the south side of West Main Street (U.S. Route 422), the west side of Mount Pleasant Road and the east side of Killinger Road in South Annville Township, Lebanon County, Pennsylvania. It has frontage on U.S. Route 422, the main east-west transportation corridor in Lebanon County. 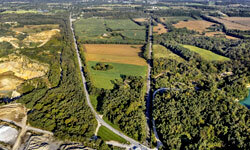 The parcel includes the 80 acre +/- privately owned Millard Airport. Click for more information, documents, and links. 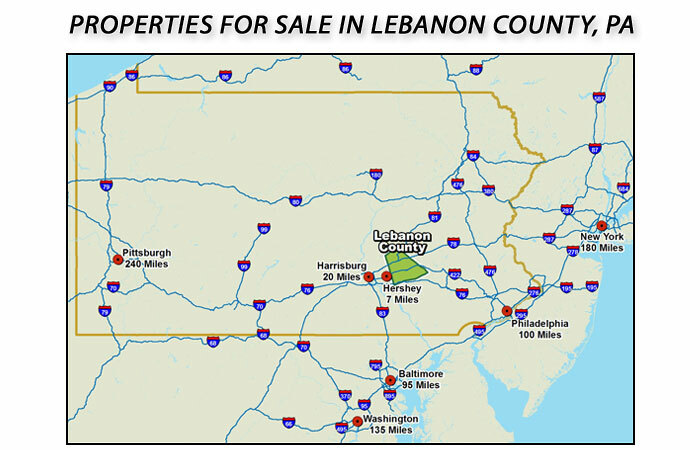 The parcel is located south of West Main Street (U.S. Route 422) and on the west side of Killinger Road in North Londonderry Township, Lebanon County, Pennsylvania. 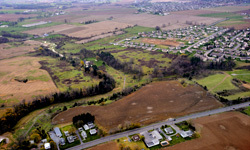 This parcel is approximately 7 miles from Hershey, Pennsylvania, 17 miles from the Harrisburg International Airport and 19 miles from the Amtrak Train Station. It has easy access to major transportation routes, including I-83, I-81 and the Pennsylvania Turnpike. This parcel is located on the west side of Natzinger Road between E. Ridge Road and Palmyra-Bellgrove Road in North Londonderry Township, Lebanon County, Pennsylvania. This parcel has frontage on E. Ridge Road, Natzinger Road and Palmyra-Bellgrove Road. 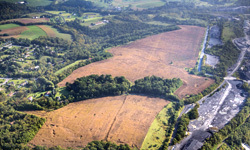 This parcel is approximately 8 miles from Hershey, Pennsylvania, 17 miles from the Harrisburg International Airport and 19 miles from the Amtrak Train Station. It has easy access to major transportation routes, including I-83, I-81, and the Pennsylvania Turnpike. This parcel is located on the east side of Natzinger Road between E. Ridge Road and Palmyra-Bellgrove Road in North Londonderry Township, Lebanon County, Pennsylvania. It has frontage on Natzinger Road. 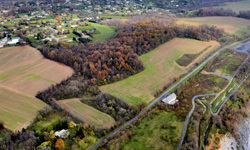 This parcel is approximately 8 miles from Hershey, Pennsylvania, 17 miles from the Harrisburg International Airport and 19 miles from the Amtrak Train Station. It has easy access to major transportation routes, including I-83, I-81, and the Pennsylvania Turnpike. This parcel is located on the east side of Hanover Street and the south side of Red Hill Road in Adams County, Pennsylvania. It has frontage on the CSX railroad. This parcel is in close proximity to Hanover, Pennsylvania. It has easy access to major transportation routes, including Route 15, Route 30, Route 94 and the Pennsylvania Turnpike. This parcel is located on the west side of Carlisle Pike (State Road 94) and the north side of Appler Road in Adams County, Pennsylvania. It has frontage on State Road 94 and the CSX railroad. 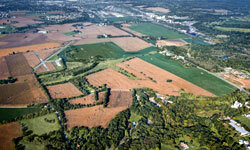 This parcel is in close proximity to Hanover, Pennsylvania. It has easy access to major transportation routes, including Route 15, Route 30, and the Pennsylvania Turnpike. 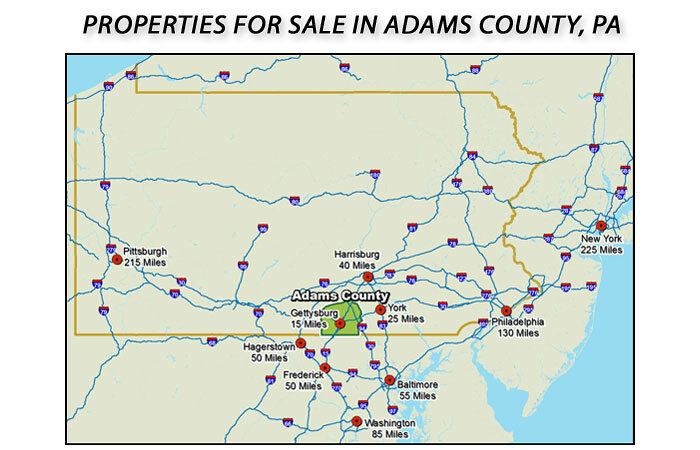 This parcel is located on the west side of Carlisle Pike (State Road 94) and the south side of Hanover Street in Adams County, Pennsylvania. It is located partly in Oxford Township and partly in Conewago Township. It has frontage on State Road 94 and the CSX railroad. 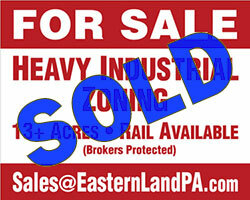 This parcel is in close proximity to Hanover, Pennsylvania. It has easy access to major transportation routes, including Route 15, Route 30, and the Pennsylvania Turnpike. This parcel is located on the southeast side of Appler Road in Adams County, Pennsylvania. It is located in Oxford Township. 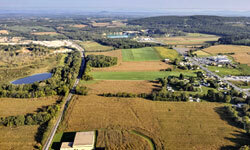 This parcel is in close proximity to Hanover, Pennsylvania. It has easy access to major transportation routes, including Carlisle Pike (State Road 94). 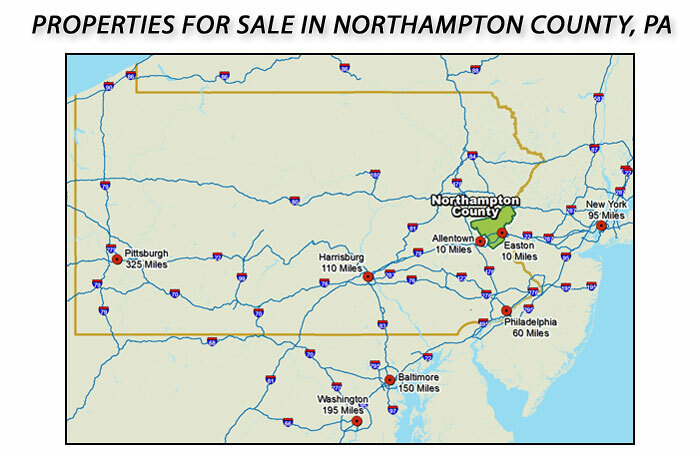 This parcel is located on the northwest side of Easton Road, east of Mockingbird Lane in the City of Bethlehem, Northampton County, Pennsylvania. It has frontage on Easton Road and is within minutes of Interstate 78. The information contained in this web site may not be reproduced, downloaded, disseminated, published or transferred in any form or by any means, other than downloading for personal use, except with the prior written permission of Eastern Land & Resources Company (“EL&RC”) or of any third party content provider. Any logos, photographs, trademarks, and content appearing on this web site are owned by EL&RC, are owned by third parties, or have been used with permission by agreement. Prior to any further use by you, written consent must first be obtained from their respective owner(s). The links to the web sites of the Commonwealth of Pennsylvania and the maps of Pennsylvania counties prepared by the Pennsylvania Department of Transportation constitute the intellectual property of the Commonwealth and were obtained and/or modified for use on this web site with the express permission of the Pennsylvania Department of Transportation. 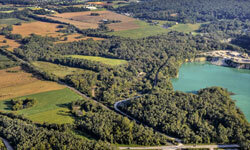 All aerial photographs were taken by Steve Miller Photography of Harrisburg, Pennsylvania. All rights to the further use of such photographs are exclusive to EL&RC and Steve Miller Photography, and such photographs may not be used in any manner or for any purpose without their prior written consent. This web site contains general information only, and it does not constitute real estate, legal or other professional advice. Eastern Land & Resources Company (‘EL&RC”) is a privately-owned company and is the owner of the property listed on this web site for sale. EL&RC is neither an agent nor a broker. EL&RC is independent, and it is not affiliated with any real estate brokerage firm, real estate agency, developer or contractor. EL&RC has taken reasonable care to insure the accuracy of all information contained on this web site. However, EL&RC is making no guarantees or warranties of any kind, whether express or implied, as to its accuracy. All information provided on this web site, including information relating to acreage, property boundaries, zoning and utilities, should be independently verified prior to acting or relying upon it. The entire risk of the accuracy or completeness of all information contained on this web site is assumed solely by the user. EL&RC has provided links to third party web sites and documents for convenience only. The content of such third party web sites and documents is maintained and controlled by others. The use of any information contained on any third party web sites or documents are at the user’s sole risk, and that information should be independently verified prior to acting or relying upon it. Under no circumstances shall EL&RC, its officers, directors, shareholders, affiliates, representatives or agents be liable for any direct, indirect, consequential, incidental, punitive or other damages or losses arising from or in any way related to the use of any information provided on this web site or on any third party web site or documents linked hereto.